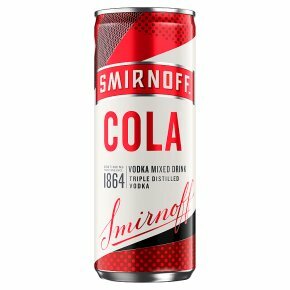 Premium vodka Smirnoff No. 21 is mixed with cola and packaged in a snazzy can, delivering an old highball favourite with ready-to-go convenience and a touch of class. Keep chilled in the fridge. Fabulous poured over ice with wedges of grapefruit, and surprisingly good alongside meat in spicy sauces.